The Keep South Padre Island Beautiful Committee is honoring a local Boy Scout troop this month in recognition of their outstanding community and environmental involvement. 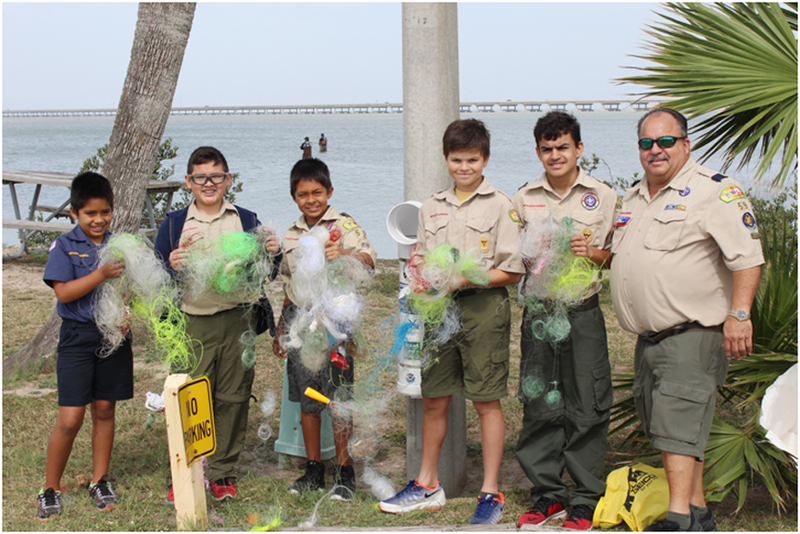 Boy Scout Troop 59 from Our Lady Star of the Sea Catholic Church in Port Isabel, led by Assistant Scout Master Richard Legere, have been servicing and maintaining the committee’s new bayside monofilament recycling stations. The stations can be found at various locations along the Laguna Madre of South Padre Island and are utilized by both the community and fishermen in order to ensure monofilament fishing line is recycled and doesn’t end up in the environment.